I had a nanny for several years and she was awesome. Having someone on payroll allowed me to work from home and start my career as a parenting expert. When my kids went off to school full time, I had to let our beloved nanny go, which was difficult because she was an integral part of our family. But sometimes there is a blurry boundary between what nannies provide in a family and our roles and responsibilities as parents. Wonderfully loved and competent nannies are desirable, but it also means we are more likely to rely on them too much. After all, the kids are having a good time and being looked after, while you’re able to go about your business. 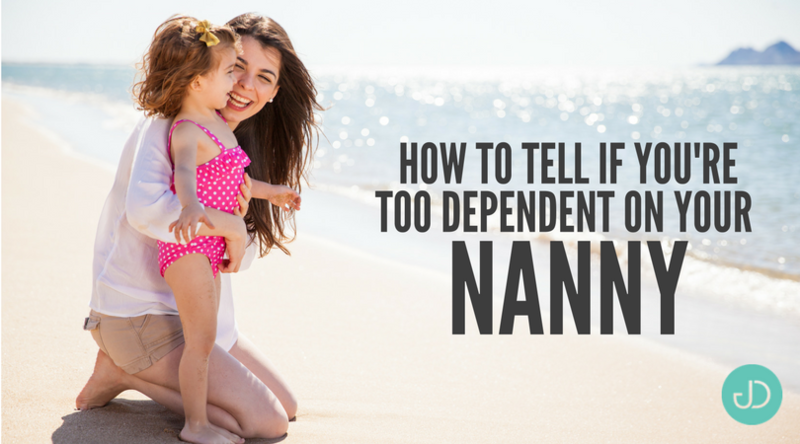 But without being aware, we can accidentally slide down a slippery slope until we are so dependent on our nannies that instead of providing much needed family help, we allow the presence of a nanny to deteriorate how healthy families should function. You may find yourself experiencing unpleasant feelings of jealousy because the nanny seems to be emotionally closer to your children and their friends and teachers than you are. You may begin to feel like an outsider to your own family. This feeling, while understandable, is not healthy, so if you do feel jealous, ask yourself what can be done to get rid of these feelings in a healthy manner. It may be that you’re not spending as much time with the kids as you want to, and while this is perfectly normal and fine, it may mean that you should try to spend a bit more quality time with your little ones instead of relying on the nanny to be there all the time. 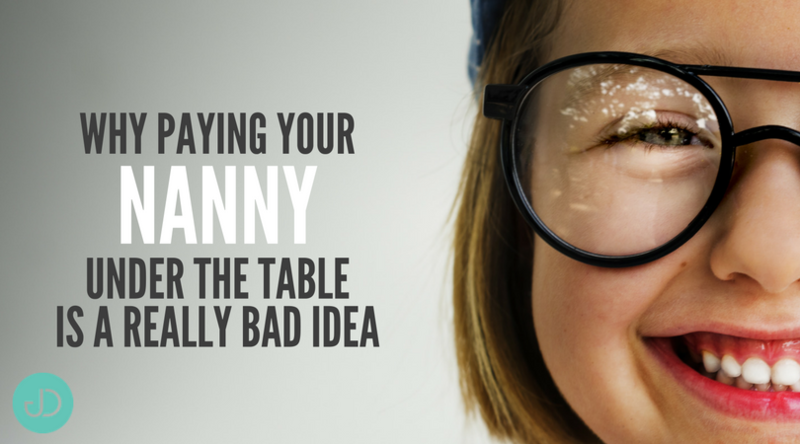 If your school-aged children still expect someone to clear their plate from the table, or hang up their coats after they dump them on the floor, it could be that they are still reliant on the care their nanny provides. Rather than letting this happen (after all, it’s not fair for the nanny nor for the kids), as parents we should be taking this time to educate them on managing their responsibilities on their own. We all want our kids to grow up to be self-sufficient and thoughtful. If you have to ask for a lot personal information about your children, like what they want for their birthday, if they like chocolate or vanilla cake, and who to invite to their party, you may be a bit too dependent on the nanny. These are questions a nanny should be asking you, not the other way around. Believe me — you do not need to have one nanny per child in the household. Unless you are royalty or Beyoncé, your children can absolutely share a nanny. One of the most important lessons a child can learn is that when others are busy they need to be a team player and wait while other peoples’ needs are being met. This can easily be learnt when a child has to share a nanny with a sibling. It’s time to re-think how much care our children really need and by whom. When exactly was the last time you were inconvenienced by the presence of your kids and didn’t hand them off to the nanny? Let’s face it, doing the grocery shopping is faster without a kid in tow. Yes, it’s much easier to leave the kids behind and head out solo, however, we can’t ditch the kids for efficiency reasons every single time you need to be out and about. If all your information about your kids has come from updates from the nanny instead of from actually making time to create a parent-child memory, this is a cause for concern and a sure sign of dependency. 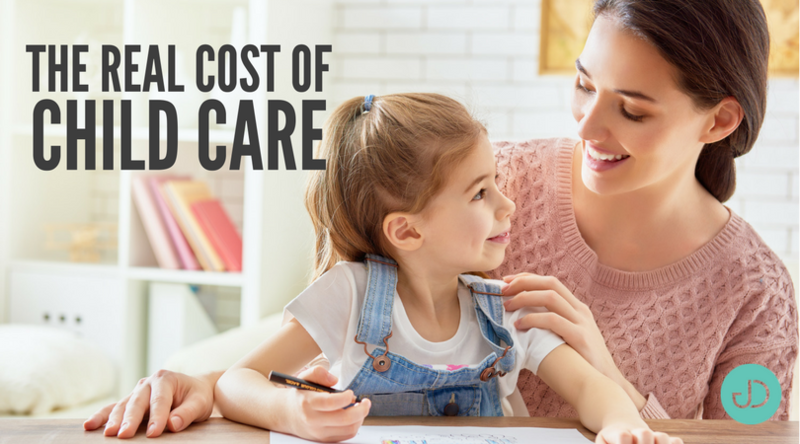 According to Care.com’s 2017 Cost of Care Survey data, almost a third of American families say they spend 20% or more of their income on child care. That’s an average of $18,000 a year, childcare advocacy group Child Care Aware reports. A majority of working parents (63%) say they’ve made big career decisions like changing jobs or asking for flexible work arrangements to help alleviate some of the pressure. Almost a quarter of surveyed parents (23%) said they either went part-time or became a stay-at-home parent to save money on child care. Of those who did this, 26% walked away from annual incomes of $50,000 or more. But this last option is more costly than some parents might estimate. … then she loses out on more than $635,000 in total income, which includes lost retirement assets and benefits, lost wages, and lost wage growth. … then he loses out on more than $850,900 in total income, which includes lost retirement assets and benefits, lost wages, and lost wage growth. While some families may prefer a stay-at-home parent for personal, non-financial reasons, in the long term, for parents who must make these kinds of career decisions based purely on their finances, leaving the workforce really isn’t an option. American parents are coming up with all manner of other plans to cover childcare costs but are finding that few of them are full-proof. While TIAA recommends that people put at least 20% of their income away into savings, the top three things families said they did to cover child care costs in 2015 were: save less money, stop saving money entirely, and save less for retirement, which, when you consider compounded interest, could also costs thousands down the line. And while Care.com found that most — 72% — budget in advance for the cost of childcare, 30% of those parents admit to going over this budget. What’s more, nearly a third of parents (32%) say they face taking on new or further debt to pay for child care. Many parents are dissatisfied with this state of affairs, and they’re looking outside the family for help. A whopping 85% of parents say they wish their employer offered child care benefits like discounted child care and access to back up child care. When asked how child care costs make them feel, 53% of the families surveyed by Care.com said American culture doesn’t do enough to support working parents, and 47% said they wish the US would take a note from other countries and subsidize child care. The short answer is, yes, you must pay your nanny tax to comply with federal law. Here’s the long answer with more details. The IRS website states if you paid cash wages of $2,000 or more in 2016 you’ll need to play an employment tax (or Nanny Tax). But if you paid cash wages of $1,000 or more in any calendar quarter of 2015 or 2016 you’ll need to pay an unemployment tax. For more details, like how much of percent you’ll need to pay, see the IRS website here. These rules also cover a housekeeper, gardener or other household workers who earn more than the threshold. So if you pay your child’s sitter $35 every week for Saturday night babysitting, you owe NannySocial Security and Medicare taxes. It’s not complicated to pay Nanny taxes, but you do need to set aside some time to make sure you complete the forms correctly. I strongly advise you to pay Nanny taxes if you’re over the limit. Not only does it keep you right with the law, your contributions will increase your babysitter’s reported Medicare and Social Security pay. That ultimately should boost any Social Security payments she/he receives in retirement. This is a perfect example of supporting women in the workforce, even if they are in your own home. If your nanny is employed by an agency or third party, who controls what work is done and how it is performed. If your child’s sitter provides care in her own home, she’s generally not your employee. If your child is cared for by your spouse. Here is step by step instructions on how to paying the nanny tax. Please note that you also may owe federal and state unemployment tax if you pay a household employee $1,000 or more in any calendar quarter. Contact your state tax agency (listed in an appendix to Internal Revenue Service Publication 926) to learn your unemployment tax obligations. If you’re still confused, please consult your accountant, tax preparer, read IRS Publication 926, or call the IRS help line for household employers at 800-829-4933. In the IRS paperwork, there is a checklist of paperwork and organizational tips you can follow to be sure that you and your Nanny are covered. Don’t even think about making that hush-hush cash payment to your child’s nanny. On average, families in the U.S. pay child care workers $556 each week — nearly $29,000 a year, according to Care.com. More than half of families report spending at least 10 percent of their household income on child care. Though it’s easy to agree on a payment schedule with your nanny and hand him or her the cash, you’re risking a reprisal from the Internal Revenue Service. In extreme cases, you face the possibility of prison time. You might remember the so-called Nannygate controversy back in the 1990s surrounding President Bill Clinton’s picks for attorney general, Zoe Baird and Judge Kimba M. Wood. Both women came under fire for the way they hired and paid their child care helpers. Baird, in particular, failed to pay Social Security taxes for her child’s care provider and her driver. Neither one got the attorney general job. And now Andy Puzder, President Donald Trump’s nominee to run the Labor Department, stated that he and his wife had employed an undocumented housekeeper. The couple said they paid back taxes to the IRS and the state of California. “If you’re paying someone to provide you with services, they have to report it as taxable income,” said Tim Steffen, director of financial planning at Robert W. Baird, a wealth management firm. Over the last 10 years, the IRS has received fewer returns showing employment taxes withheld for child care providers, cooks and other home workers. Taxpayers must submit Schedule H if they paid at least $2,000 in wages annually to a household employee and withheld payroll taxes, including Social Security and Medicare levies, as well as federal income taxes. You’re also required to turn in this form if you paid wages of at least $1,000 in any quarter to all household employees. You’ll also need to send this worker a W-2 with earnings, tax and withholding details, and you’ll have to send a W-3 to the Social Security Administration. The deadline to send workers a W-2 for the 2016 tax year was January 31. Employment status is key: You’re subject to these withholding and reporting requirements if your child care provider is your employee. That is, you control the work this person performs and how it’s done, according to the IRS. Since willful failure to pay employment taxes can be punishable with time behind bars, it’s imperative that you knock out the appropriate paperwork before you hire a household employee. Get on the same page with your household worker in the interview process: Tell the prospective hire that the income will be reported to the IRS. Expect those responsibilities to inflate your costs by up to 15 percent, versus paying your nanny off the books, Allen said. You’ll also need to register with your state as an employer, said Steffen. Form I-9: This is used for verifying the identity and employment authorization of your worker. Your employee will need to provide documentation to prove his or her identity. Form W-4: A withholding allowance certificate that you’ll need from your employee if you withhold federal income taxes. Schedule H: You’ll turn in this form with your 1040 when you file your taxes. This will spell out how much you paid your employee(s) and the applicable unemployment, Social Security and Medicare taxes paid. It’s also a good idea to have an employment contract with your employee so that you can address issues such as sick days, vacation time, and other details. Don’t go it alone. You can hire an accountant to ensure you’re operating on the right side of the law. Some payroll software providers also offer a home employee option that will allow you to withhold taxes and pay your nanny via direct deposit. Providers include HomePay and NannyPay. 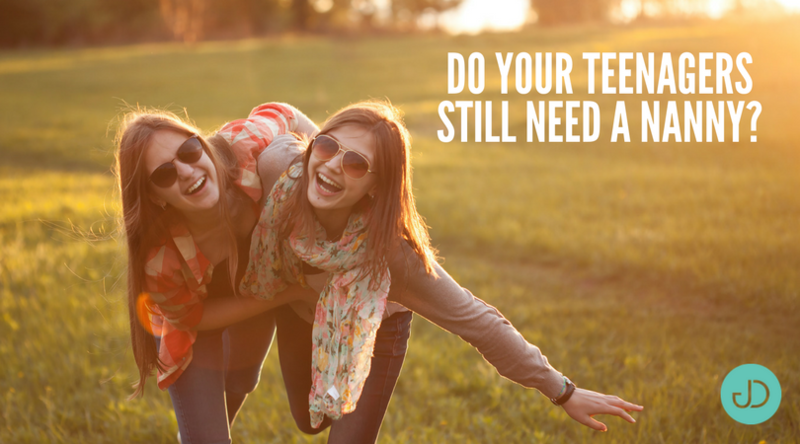 Big Kids: Do Your Teenagers Still Need a Nanny? As preparations are made for the return of the world’s most famous nanny, Mary Poppins, with a new film starring Emily Blunt out next year, real-life nannies are back in the spotlight, too. Their nanny, Clare, has been with the family since Sam was born. “Obviously we don’t need a full-time nanny any more, but she’s part of our family,” adds Fiona. Eccentric MP and father-of-six, Jacob Rees Mogg, meanwhile, recently celebrated 50 years of his own family nanny’s employment. Veronica Crook “looked after me and now looks after my children,” he said, providing “a continuity and stability of inestimable value.” Such is her devotion, she still makes him supper after a late sitting at the House of Commons. Most parents, however, wave a reluctant goodbye to the nanny once the children reach their teens, patching together emergency childcare when necessary via a collage of ‘where are u?’ texts, taxi bookings and friendly favours. Even the Royal princes’ nanny, Tiggy Legge-Bourke, resigned when William turned 15, and he and Harry were both at Eton, though they remained close. But many high-powered parents aren’t willing to give up the benefits of professional childcare, particularly if both work full-time. As a parent of now grown-up children, I was lucky enough to work from home and have nearby grandparental support when mine were teenagers. But I would have turned blue with worry had they been home alone for hours (or out who knows where) after school, at just 12 or 13. In fact, thinks Emma Coleman, 45, from West London, it’s even more important to have someone who knows where your children are, once they’re older. Some have dubbed the trend “helicopter nannying”, referring to parents who supervise their child in every area and through every stage of life, now delegating this role to a new breed of supernanny. But while nannies for tinies are kept busy with childcare, with teens, there are long stretches of the day when their charges are asleep, at school, or on the X-box. Nannies have to be flexible, says Paula. For less than £10 an hour, Paula points out, parents get a qualified adult, who can make sure the kids are alright. Never mind magical ceiling tea parties — perhaps it’s time for Mary Poppins to download Snapchat. Like most parents, I’ve interviewed my fair share of nannies for my kids. I have my list of go-to nanny interview questions, but I’ve often wondered if there are better questions to ask. To that end, UrbanSitter surveyed more than 500 nannies to share their insights on what parents should and shouldn’t ask in a nanny interview to get to what they both really want to know—whether or not they’ve found a match. 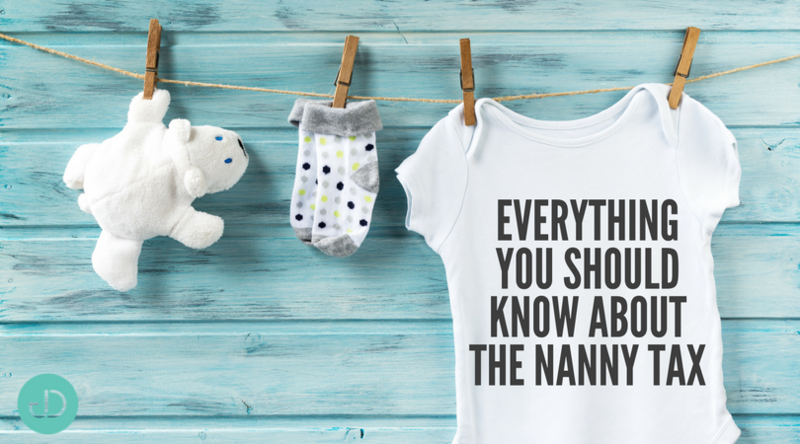 Here are five top tips for finding a top-notch nanny without sending her running straight into the arms of another employer! 1. Avoid assumptions or surprises. Know what you need—live-in or live-out nanny, full or part-time, short or long-term, infant/special needs/school-aged childcare. Be upfront by discussing regular duties—including requirements for meal prep, carpool duty, homework assistance, general housework, and shopping—and also expectations for occasional needs such as staying late or overnight and traveling with the family. Clearly and honestly define the role you are looking to fill. Don’t forget to also ask the candidate what she wants and needs from you to make sure your needs are compatible. Many hiring mistakes can be avoided just by ensuring you are on the same page. 2. Get creative with your questions. Certainly, you need to ask basic interview questions to gauge experience and qualifications, thoughts on discipline and pay expectations, but don’t stop there. Nannies surveyed recalled several creative interview approaches that enabled them to open up and share unique qualities that ultimately sealed a job offer. For instance, ask about her favorite children’s book (you’ve found a red flag if she can’t name a children’s book title! ), how she coaxes rambunctious tots to stick to a naptime routine, and about her proudest accomplishment as a nanny or parent. Your goal is to get to know a stranger who may become an indispensable partner. 3. Respect her free time and acknowledge that it’s as important as yours. Everyone is late on occasion. If you’re regularly stuck at the office or hopeful that your nanny will stay later than her normal hours, so you can hit the gym or meet up with friends for happy hour, be upfront about it. While one nanny may be understanding and welcome the over-time pay, another may closely guard her personal time or be less flexible due to other responsibilities, such as being home for her own family or getting to a second job. Same goes for weekend duty and family travel—assume her off-hours are off limits unless she tells you otherwise. 4. Make it personal without getting too personal. A perspective nanny should understand that your intentions for digging deep are good—she may be spending as much or even more time with your child than you do—but do respect her boundaries. For instance, do not ask why she intends or doesn’t intend to have kids of her own or why she isn’t pursuing a more intellectually stimulating career. Instead, ask what experience she has with children—her own, younger siblings or cousins, and job-related—and whether she foresees the position as a long-term career or a temporary role, for instance, while attending or saving for school or travel. You’ll get a sense of whether or not you’ll be in the market for a new nanny sooner than you may like, without making the current candidate squirm or feel offended. 5. 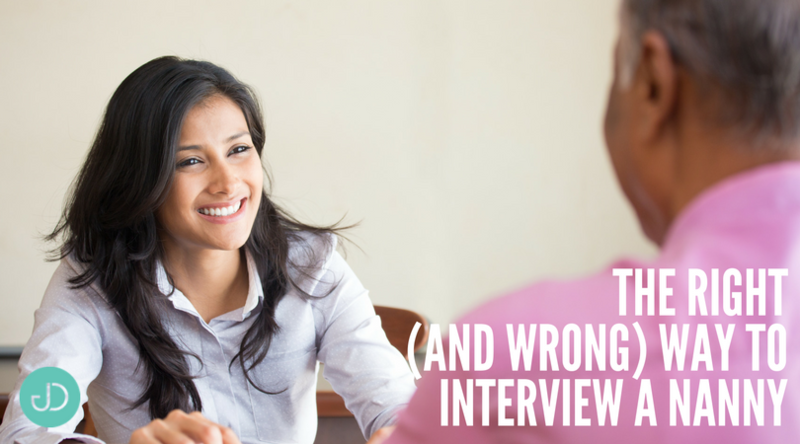 A face-to-face interview is essential, but don’t overlook your homework. In addition to the interview, do some investigating to get to know a candidate. If you’ve found her through an online service, closely review her profile and read reviews from other parents, especially noting character traits that are most important to you, such as reliability or an energetic personality. Also check references, review photos and posts she’s shared on social media, and consider a background check. Additionally, research your local childcare market to understand going nanny pay rates. You’ll avoid over-paying or losing qualified candidates to more generous offers. Parents and nannies, alike, often find it helpful to follow a successful interview with a working interview—a candidate spends time with the children while the parents are home—or a trial period to test the waters and ensure a good fit before committing to each other. Ultimately, a successful match boils down to asking the right questions, trusting your intuition, and clearly communicating to ensure mutual compatibility.